2 bedrooms and bed linen and towels for use in the cottage included. Smoking not permitted in cottage or grounds. Rules in relation to dogs. Please contact owner prior to booking with a dog. We are happy to accept well behaved dogs but request that they are not allowed on the beds, or left unattended at the property. We stayed as two couples as part of a bigger walking group and thoroughly enjoyed our stay here. A lot of effort has gone into providing everything that you might need. The larger bedroom had a smallish ensuite but the smaller bedroom benefited from the lovely separate bathroom. Best to avoid simultaneous showers. As is common with many self catering properties there was little room to store your food other than the fridge/freezer. The owner Wendy quickly dealt with a small problem that we had. Avoid the Monksland pub in nearby Scurlage. Very well kept and comfortable. We had a lovely week here in this cosy cottage which lacked nothing. Very quiet and peaceful location, ideal for exploring the west Gower and nice to come back to in the evening. We were given a lovely welcome and made to feel at home. We loved our week-long stay at Wendy and Mark's cottage in Scurlage. 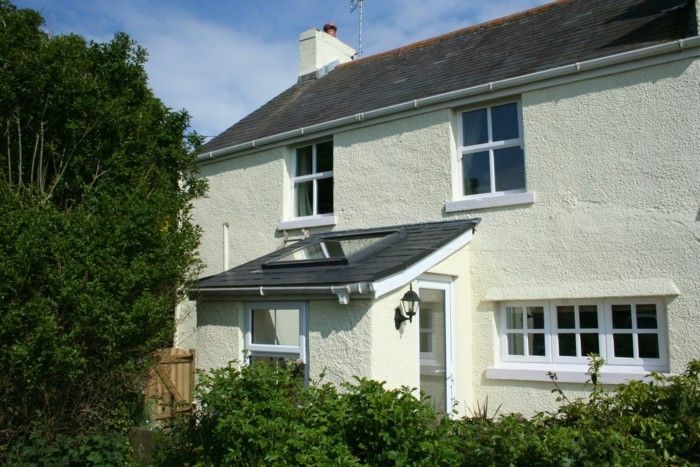 The location is perfect for all the beaches (Port Eynon is less than a five min car journey away), and the cottage itself is really homely, very clean and full of character. Wendy and Mark are also really kind and helpful, and made our stay very comfortable. We will definitely be back! Lovely cottage in a beautiful part of the country! Easy access to the gorgeous beaches around Gower. Cottage was clean and done to a high standard throughout. Wifi was not brilliant, could only use on stairs. Excellent comfortable property in a lovely location. The week was fantastic. heatwave every day, Too hot for long walks with the dog. Beaches nearby remind me of Cornwall. In all a great holiday. My only concern was trying to book through the appalling home and away website. The whole experience was so shifty that my alarm bells rang and I refused to complete the booking on line. Ended up booking by phone through the call centre in Austin Texas. I really did believe this website was a scam. Its just the sort of thing that criminals set up to relieve people of their money. If it had not been for a helpful call centre we would never have been for this holiday. I will never use home and away again. A beautiful area to explore. Fantastic beaches and numerous and varied walks. The Gower Peninsular is a walkers heaven. With it's spectacular coastline, breathtaking countryside and historic castles and churches it's easy to see why. Gower is also Britain's first designated Area of Outstanding Natural Beauty. Berry Hall Cottage is perfect for walkers with many fabulous circular walks which take in the beautiful countryside, stunning coastline and 16th Century Oxwich castle starting right at the front door. The cottage is well stocked with maps, routes and walks to suit all abilities and levels. Please click on the thumbnails below to see just some of the stunning sights and scenery.